This past September, I spent a month living in an Airbnb in Budapest. I had my own studio apartment for just over $800 which is a huge steal for a girl that has lived in Los Angeles her entire life. Having first come to Budapest in 2012, I was instantly drawn to the city because it was one of the most beautiful I had ever been too and it was also incredibly affordable. Plus, sightseeing in Budapest is actually really fun. 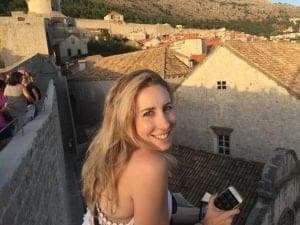 Participating in cultural activities like visiting the Sezchenyi Baths, shopping for traditional Hungarian foods like langos at the Great Market Hall, and cruising along the iconic Danube river are the “Budapest must-dos.” I am definitely more on board with those than your traditional visit to a fine arts museum and cathedral viewing. 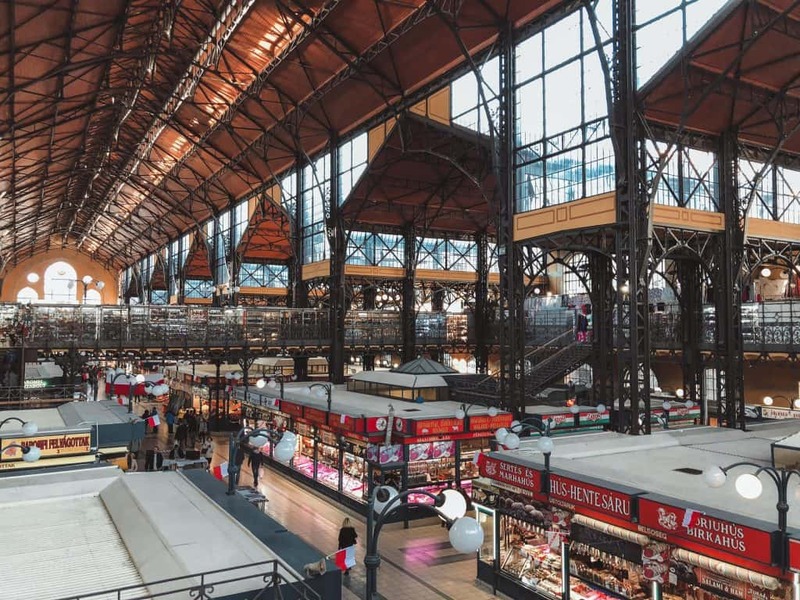 Should you stay in an Airbnb in Budapest? Staying at an Airbnb in Budapest affords you the opportunity to have your own large space and kitchen. 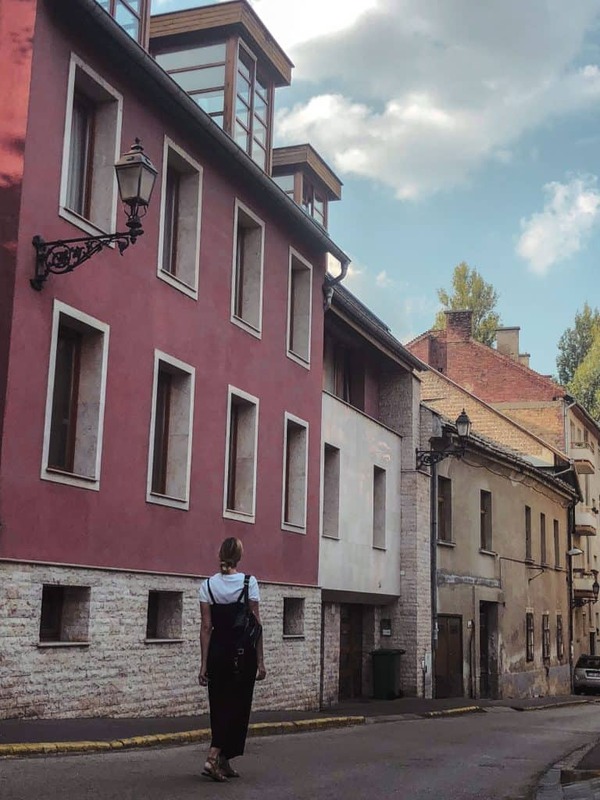 Since Budapest is such an affordable city, even solo travelers who are budget-minded have the opportunity to book an entire apartment for themselves. The extra fees, namely cleaning fees and service fees can be brutal. You think you find a steal and than in no time, the price of the accommodation has doubled. No price is ever truly accurate until you click the “book” button and find out just how much extra you will be paying per night. Many times it will be worth the extra fees to have a unique space to stay, but I would definitely cross-check the apartment on Booking.com to make sure that you are getting the best price possible. Sometimes properties will be listed on both and other times, they will only be found on Airbnb. Budapest is divided into two parts by the Danube River, Buda and Pest. The Buda side is hilly and much more suburban than Pest which is flat and buzzing with bars and restaurants. The capital city of Hungary is comprised of 10 different districts within those two parts. I recommend looking to stay near Oktagon, Deák Ferenc Square, and Vörösmarty Square. Any of those squares (octagons) are well-connected by a fantastic public transit system and would be one of the best areas to stay in Budapest. 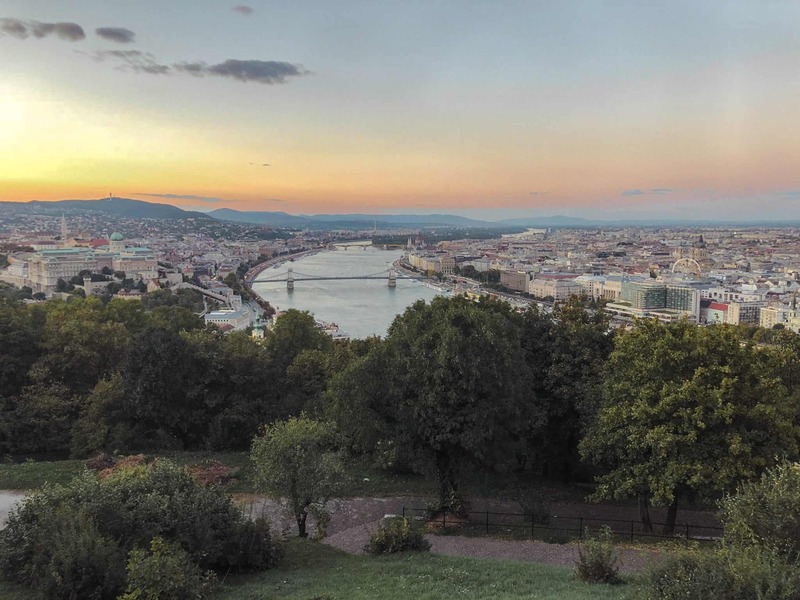 The epicenter of Budapest nightlife is in the Jewish quarter (the 7th district), so unless you are visiting for a hen or a stag-do, I would avoid staying in the heart of that area. 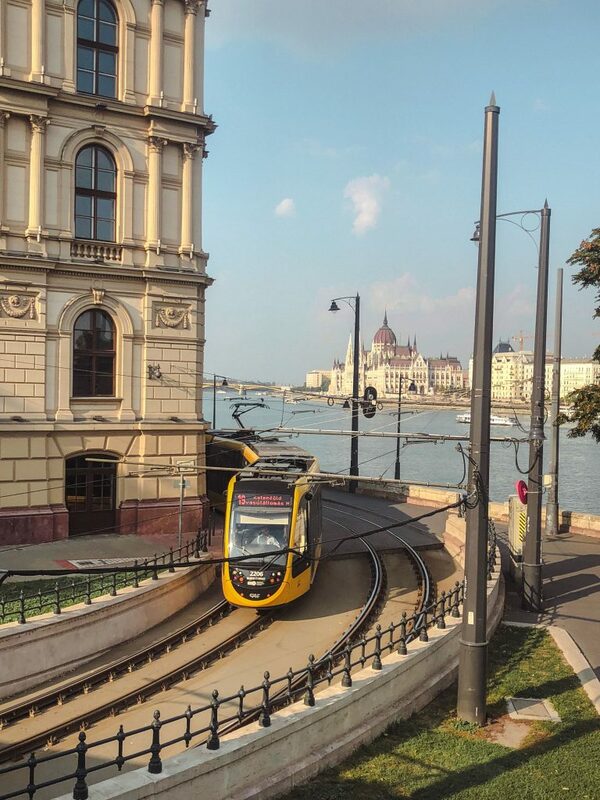 While most of Budapest’s city center is suitable for walking, transportation in Budapest is also phenomenal. There are buses, trams, and metros all within the center of the city, all of which arrive at a rapid rate, and the 4/6 tram is even open 24 hours! For my one month in Budapest, I purchased the monthly transport card which allowed me to ride on all of the above modes of transport an unlimited amount. You can buy single ticket, one-day travel card, week travel card, three-day, 10 trip, etc. Basically, there is an option for any sort of combination. This transit website outlines all of the possible options. I bought my pass upon arrival at the airport. I just had to show photo ID and I got the monthly pass printed out for me then and there. 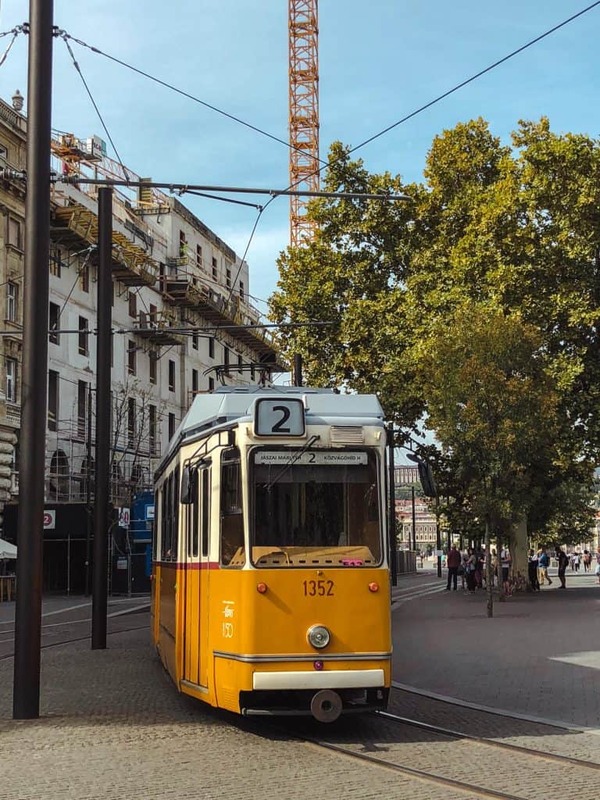 To get into the city from the airport, take bus 100E to Deák Ferenc Square, and from there you can walk or grab the metro/tram/bus to your accommodation. You can also take a taxi from the airport or use Taxify, a ride-sharing service in Budapest. After a quick Airbnb search, you will soon discover that many of the apartments you see listed are loft-style. That is, the bed will be located above the seating area and there will usually be a double bed and sofa bed in the apartment. If you have any mobility issues or are simply not comfortable with climbing a ladder to get to your bed, you should definitely be aware of this and look for a property without a loft. 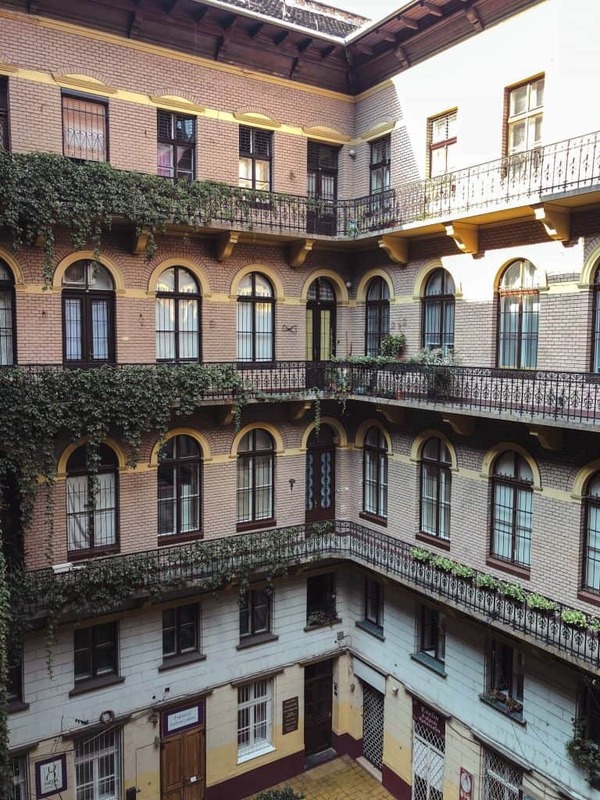 Otherwise, apartments in Budapest are generally in beautiful, historic buildings with impressive courtyards. The interiors of many of the Airbnb apartments have been fully updated, so you get the best of both worlds. With 400+ 5* reviews, you know that the hosts are doing something right. While the property is located in a historic building –just look at the ceiling details — the apartment has also been completely updated with modern amenities like a dishwasher, oven, and standing shower head. There is even a spa bath! Because this location is so central, there may be some noise at night, so don’t forget your Hearos earplugs for a good night’s rest. The name here says it all. The apartment is about 20 meters from the Budapest eye in one of if not my favorite areas in Budapest, Deák Ferenc tér . There is one bedroom with a queen bed and two mezzanines with another queen bed and a sofa bed. There is a small grocery store in the building which is a great convenience. Just note that the apartment is on the 3rd floor, so you will need to climb a few flights of stairs as there is no elevator access in the building. A few other things to note: there is no standup shower head, but there is laundry in the unit! This airbnb is located right near Oktagon, the area that I personally believe will get you anywhere you need to go. The tram line runs through it and the M1 metro stops there. However, while some people might find Oktagon seedy (I don’t), this particular airbnb is on one of the nicest streets in all of Budapest, Andrassy Avenue. You can tell that the Airbnb host puts a lot of work into the place as there are tons of modern amenities packed into this compact space like a washer, espresso machine, and fully equipped kitchen. There are also 1.5 bathrooms, which can give you a little extra privacy if you are two people staying here. While this is a loft-style apartment, there are proper stairs up to the mezzanine, so you can feel more secure going between levels should you need to in the middle of the night. I prefer staying in an airbnb when I am looking to be in a unique property; these hosts combined vintage, contemporary, and industrial styles to create just that in this apartment. I love that they paid homage to the tumultuous history of Hungary by including gadgets from the turn of the century in the decor. Many reviews speak highly about the comfortable bed, which is not loft-style. The location is excellent as it is located within view of the Opera House. If you are looking to stay in one of the bougiest parts of Pest, then this airbnb would be a great choice. The property is across the street from the Ritz hotel right near Vörösmarty Square. I really appreciate that the listing shows the layout of the place, so you can really see exactly what you are getting. And you are getting a lot. There is air conditioning, flat-screen smart TV, fully equipped kitchen, and a washer/dryer. There are also double pane windows in the bedroom to block street noise! 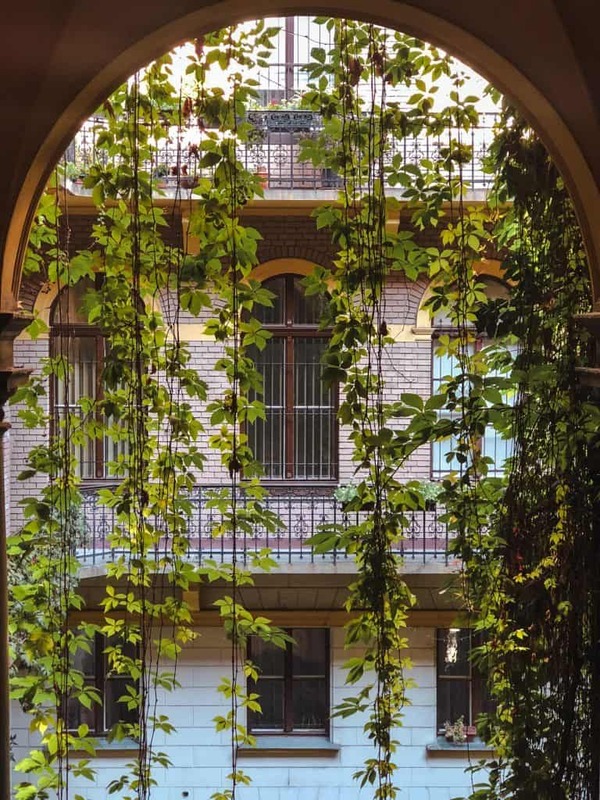 Are there any other Budapest Airbnbs that you stayed in and think I should include? Please share in the comments! Don’t forget! If you’ve never used Airbnb, get a $40 credit by clicking here.